Diabetes. All of us have heard of it, and most of us know someone who has it. It is a disease that seems to be an integral part of our culture. How did it ever get to be so widespread, and is there anything we can do toward reversing diabetes? The good news is that we do not have to allow diabetes to assault us. We can set reachable goals, both personally and as a society, to rid ourselves of this unnecessary blight that is due primarily to poor diet and an inactive lifestyle. 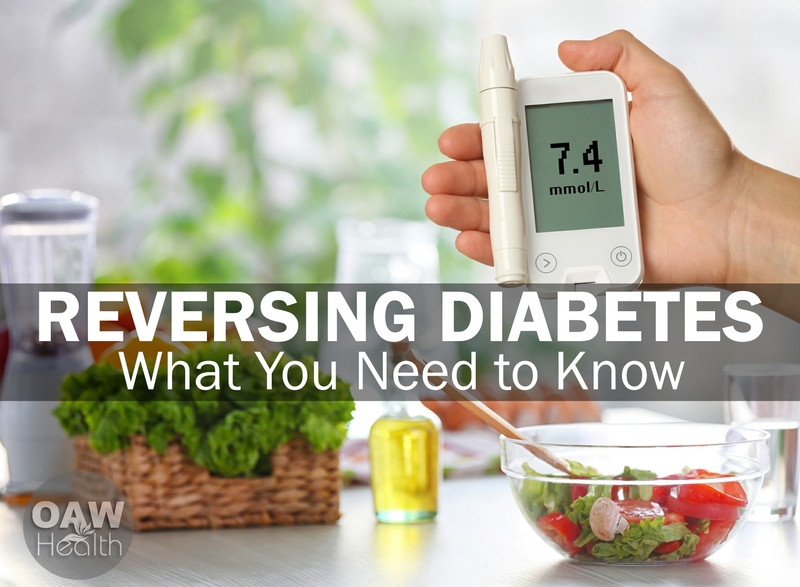 Let’s talk about reversing diabetes – what you need to know. Diabetes mellitus (muh-LAHY-tuhs) is a chronic disease that causes the body to incorrectly process glucose in the blood. An estimated 14 million Americans are thought to have diabetes, approximately 5% of the population. Many of them do not even know that they are diabetic. Diabetes is a very serious illness. Left unchecked, complications can develop that lead to kidney failure, stroke, heart disease, and blindness. Every cell in our body needs energy to function, and the main source of that energy is a simple sugar called glucose. Insulin is a hormone produced by the pancreas that enables glucose throughout the body to enter into and energize the cells. When the body does not produce enough insulin, or when the insulin no longer works to open the cell doors and let glucose in, the system breaks down, and the glucose remains in the blood. Our body being the wonderful creation that it is, it will attempt to fix itself. It seeks to dilute the glucose by drawing water out of the cells and dumping the excess sugar into the urine. This is why many diabetics are constantly thirsty and urinate frequently. While all of this is going on, the body is sending itself conflicting messages. The cells cry out for glucose, and the best place they know to get it is from food, so extreme hunger is also a symptom. Again the body tries to help itself by seeking to convert fats and proteins into glucose. The byproducts of this process are acid compounds called ketones. When ketone levels in the blood are raised to toxic levels, ketoacidosisoccurs, a life-threatening condition that can lead to coma or death. Diabetes is classified into two major categories: Type I Diabetes, also known as juvenile diabetes, and Type II Diabetes, by far the most common. Type I or juvenile diabetes is technically known as Insulin-Dependent Diabetes Mellitus (IDDM). It mostly afflicts children and teens. It accounts for less than 10% of all diabetes cases in the U.S. This kind of diabetes causes the body to produce little or no insulin. Patients often must have lifelong insulin shots once or twice a day. Usually the onset comes on patients suddenly without any warning signs. It is found more often in folks with Northern European ancestries than in Southern Europeans, Middle-Easterners, or Asians. Brittle diabetes is a less common form of Type I whereby blood sugar levels tend to fluctuate greatly between hypoglycemia (low blood sugar) and hyperglycemia (high blood sugar). This form is more difficult to manage, and it is a challenge to maintain the glucose balance throughout the day. Type II Diabetes is the culprit in over 90% of American diabetes cases, and is the most common form of diabetes worldwide. It is a more slowly developing form, often taking several years to mature. It is also called age-onset or adult-onset diabetes, and usually afflicts adults over 40 years of age. This form is almost completely preventable, as the major causes are obesity, poor diet, and lack of exercise. As much as I hate problems with no apparent answer, I love the ones that can be solved with a clear course of action. Type II diabetes is one of these. Gestational diabetes: usually a temporary form that afflicts approximately 2% of women during pregnancy and disappears after the child arrives. Gestational diabetes increases a woman’s risk of developing Type II diabetes approximately 5-10 years later. Incidentally, I ran across a study that concluded that women who eat junk food during pregnancy significantly increase their baby’s chances of being obese and/or getting diabetes. So put down the Cheetoes ladies, especially during pregnancy! Impaired glucose tolerance is considered a pre-diabetic or borderline diabetic condition. Researchers do not know for sure exactly what causes Type I diabetes, but the consensus is that it has something to do with an autoimmune response that causes the pancreatic cells that produce insulin to be destroyed. It is believed to be triggered by a virus or other type of microorganism. Obesity (more than 20% over ideal body weight). About 90% of all Type II patients are obese. Medications that disrupt insulin production. A family history of the disease. Member of a high-risk ethnic group, such as: Native American, Native Hawaiian, African-American, or Hispanic. A personal history of gestational diabetes, or delivery of a baby greater than 9 pounds. Hypertension (greater than 140/90 mmHg). High cholesterol and/or high triglycerides. There are definitive blood and urine tests that can establish a diagnosis of diabetes. Testing can measure the amount of sugar present in the blood as well as ketone and protein levels in the urine. Urine tests are especially handy for diabetics to self-monitor their status. These are easily taken with dipsticks that change color like in a litmus test (remember high school chemistry?). Reversing diabetes focuses on two main objectives: keeping glucose levels within tolerable range, and prevention of long-term complications. Perhaps the most powerful weapon used for reversing diabetes is a very healthy diet. This can help to accomplish both of the above goals, and most importantly it can even prevent the onset of diabetes in most people. What Kind 0f Diet is Recommended for Diabetes? Whole foods composed of complex carbohydrates should be a mainstay of any diabetic’s diet. Stay away from processed foods, so common in our American grocery stores. Incidence of diabetes is very low in undeveloped countries that eat a more “primitive” diet. But as they become more Westernized, diabetes and other curses of affluence such as heart disease, stroke, and cancer become more common. Large amounts of fresh fruits and vegetables, preferably organic and locally grown, should be consumed liberally. They are composed of complex carbohydrates and high in fiber. These are full of antioxidants that can boost the immune system and fight off free radical damage. They also help to keep the fat and cholesterol levels down. High fiber foods are generally lower in sugar than low fiber foods. Eat beans, fruit, and oat bran or oat meal. New research indicates that certain types of meat may be a culprit in diabetes. The results of an eleven year study conducted at Duke-NUS Medical School in Singapore found that meat consumption, and to a smaller extent poultry, is linked to a higher risk of developing type two diabetes. Research subjects who consumed the most red meat had a 23 percent increased risk of developing type 2 diabetes. Those who ate the most poultry had a risk 15 percent higher than those who ate the least of these meats. Researchers theorize that the main contributing factor may be the heme iron present in these foods. Heme iron is more easily absorbed by the body than non-heme iron (present in plant-based foods) and red meat is an exceptionally higher source. But even dark meat poultry, has a relatively high content of heme iron. Your body is unable to control the rate of absorption of heme iron which results in higher stores accumulating in those whose intake is high. In a 2013 study at the Universitat Rovira i Virgili in Tarragona, Spain, heme iron intake was found to raise the possibility of developing new-onset diabetes. Importantly, it should be noted that the presence of heme iron is independent of whether the meat is high or low fat, organic or non-organic, free-range or caged, or even whether it’s grilled or baked are all factors that affect other health risks. Avoid unhealthy fat foods, such as red meat and some dairy foods. Consume healthy fats and oils on a daily basis. Diabetics are at greater risk for coronary heart disease than the general population, so any foods that are heart-friendly are good for diabetics as well. Eating 4-6 small meals per day is an effective strategy for most diabetics. It is important to keep glucose levels as steady as possible throughout the day. Certain foods help to stabilize blood sugar: brewers yeast, cheese, fish, eggs, garlic, olive oil, and sauerkraut. I suggest avoiding all GMO (genetically modified foods). GMO corn, soy and canola have been linked to kidney and liver disease and may even promote diabetes. Choose products labeled as organic or GMO-free. Gluten-containing grains such as wheat, contain large amounts of carbohydrates that are broken down into sugar within only a few minutes of eating them. In many individuals, gluten can cause intestinal inflammation, which affects hormones like cortisol and leptin, and can lead to sharp elevation in blood sugar. Intermittent fasting is becoming more and more popular and shows evidence of improving insulin sensitivity. This is an attractive option for people with a BMI over 25, borderline diabetes (prediabetes) or with type 2 diabetes. If you are on blood sugar-lowering medications, check with your healthcare practitioner before trying intermittent fasting. Choosing to skip breakfast (intermittent fasting takes advantage of, and expands upon, the 10–12 hours you normally fast after dinner and while sleeping) and then making lunch (around noon) your first meal-of-the-day is what most practitioners consider an effective way to implement intermittent fasting. The caloric reduction that skipping breakfast gives is tremendous. And if you can exercise during the morning, intermittent fasting works even better. As long as you eat normal, healthy meals at lunch and dinner—without making up for the calories you didn’t eat in the morning—you will reduce your caloric intake close to 30 percent. If this is done for six days, it’s the equivalent of a two-day total fast, and one month is similar to fasting for 10 days. I highly suggest being under the care of a knowledgeable healthcare practitioner while implementing intermittent fasting. Proper and consistent exercise is also critical for managing and preventing the onset of diabetes. Since obesity is such a crucial factor in diabetes risk, the one-two punch of diet and exercise is clearly a powerful ally in reversing diabetes. Weight loss has been proven to improve as well as reversing diabetes to such a great degree, that often the disease can be completely turned around in some individuals simply by losing enough weight and keeping it off eating a healthy diet along with daily exercise. The beauty of it is that for those of us who are not overweight or diabetic, diet and exercise will prevent us from developing diabetes in the first place (not to mention a host of other diseases as well). Don’t worry – you don’t need to be a gym-rat in order to experience weight loss. Daily walking, biking, rebounding, or swimming along with resistance training is all you need to do in order to experience consistent weight loss or to keep from putting on extra weight. Start slowly and work your way up to exercising at least 30-45 minutes every day. 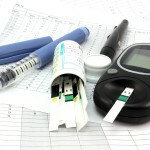 Are There Any Natural Treatments Available for Reversing Diabetes? There are many vitamins, supplements and herbal options that have helped to fight symptoms, manage diabetes and even reverse diabetes. Below are a few of the best. Chromium picolinate. Studies have shown this rare trace mineral to help reduce the need for insulin and other medications in some subjects by reducing glucose and serum triglyceride levels. Magnesium. Magnesium is important to insulin formation and blood sugar control. Many with diabetes have a magnesium deficiency. Supplementation may be appropriate in some cases. Vanadium. Vanadium usage has allowed some diabetics to reduce the amount of insulin they need. It has also been proven to normalize blood glucose levels in diabetic animals. Vitamin C. Vitamin C lowers levels of sorbitol, the sugar that can collect in and damage cells in the eyes, kidneys, and nerves. At least 1,000 mg of vitamin C daily is recommended. Vitamin D. Vitamin D turns on genes that boost production of antimicrobial peptides called cathelicidins, which destroy viruses, bacteria, and other germs. Because people with diabetes are more prone to infections due to diabetic ulcers and periodontal disease, making sure your body has optimal levels of this fat-soluble vitamin is important. 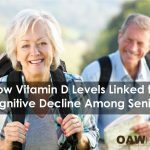 Get your Vitamin D3 levels checked. At least 2,000 IU of supplemental vitamin D (as cholecalciferol or D3) daily is recommended. Alpha Lipoic Acid. Several studies suggest alpha-lipoic acid helps lower blood sugar levels. Its ability to kill free radicals may help people with diabetic peripheral neuropathy, who have pain, burning, itching, tingling, and numbness in arms and legs from nerve damage. Fish Oil. Studies have shown that a high quality fish oil supplement may lower triglyceride levels in people with Type 2 diabetes, which could lower risk of heart disease. Vitamin E (full spectrum). 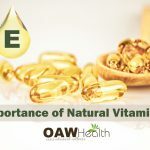 Non-synthetic Vitamin E is effective for the circulatory issues caused by diabetes. Vitamin A. Vitamin A is responsible for boosting beta cell activity. This means that poor vitamin A levels may be a potential driver in the development of type 2 diabetes. Vitamin A is responsible for aiding cell growth and contributing to a healthy immune system and vision. Loquat Leaf. One of organic loquat’s most impressive abilities is that it may help combat diabetes. Loquat leaf produces a variety of chemicals called triterpenes. One of the most important acids in this class of chemicals is tormentic acid. Tormentic acid has been shown to increase insulin production which may help reduce the symptoms related to diabetes. Approved by the Chinese government as a blood-sugar supporter, Loquat leaf produces a set of natural bodily chemicals known as polysaccharides, compounds that have also been shown to increase insulin production. Wormwood reduces blood glucose levels. Cinnamon. Ceylon Cinnamon has shown itself to help stabilize blood sugar levels, as well as triglyceride and cholesterol levels. 1/4 teaspoon per day gets good results. Aloe Vera research suggests that intake of aloe vera juice can help improve blood glucose levels and may be useful in treating people with diabetes. Gurmar also reduces blood glucose, as well as the need for insulin. Coccinia indica improves glucose tolerance. Cayenne pepper helps with pain relief in peripheral nerves that are affected by diabetic neuropathy. Bitter melon reduces blood glucose and improves glucose tolerance. Fenugreek seed powder also lowers glucose and boosts glucose tolerance. Gingko Biloba is a known to help with blood circulation. Garlic keeps both blood sugar and cholesterol down. Onions can help to lower blood glucose. Bilberry is good for blood vessel health and may lower glucose as well. Turmeric studies have shown that curcumin has the ability to lower blood sugar levels. One recent study found that taking just 300 mg a day of highly purified curcuminoids decreased blood sugar levels by almost 18%. Ginger study of 88 participants found that taking 3 grams of ginger daily for eight weeks reduced fasting blood sugar and HbA1c levels, which are a measure of average blood sugar levels over the past 2–3 months. CAUTION: Because herbs have strong medicinal effects on the body, they can interact with some drugs in ways that can be dangerous to your health. If you are taking any medication (prescription or over-the-counter), consult with a healthcare professional, who is knowledgeable about herbs, before consuming any herbal products. Maintaining a healthy lifestyle is absolutely critical to good health. Not all the factors of diabetes, such as family history or ethnic origin, can be controlled. But the fact of the matter is that most type 2 diabetes can be totally prevented if you have the vision and initiative to make the necessary changes in your life. Granted, lifestyle changes are not easy, but with consistency and discipline those changes can lead to good health and wellness. World J Diabetes. Magnesium and Type 2 Diabetes. 2015 Aug 25; 6(10): 1152–1157. Published online 2015 Aug 25. doi:10.4239/wjd.v6.i10.1152. Anderson R.A. Chromium and polyphenols from cinnamon improve insulin sensitivity. Proc Nutr Soc. 2008;67:48–53. Baskaran K, Kizar Ahamath B, Radha Shanmugasundaram K, Shanmugasundaram E.R. Antidiabetic effect of a leaf extract from Gymnema sylvestre in non-insulin-dependent diabetesmellitus patients. J Ethnopharmacol. 1990;30:295–300. Leila Azadbakht, Mohammad Hossein Rouhani, and Pamela Jean Surkan. Omega-3 fatty acids, insulin resistance and type 2 diabetes. J Res Med Sci. 2011 Oct; 16(10): 1259–1260. Talaei, Mohammad; et al. “Meat, Dietary Heme Iron, and Risk of Type 2 Diabetes Mellitus: The Singapore Chinese Health Study.” American Journal of Epidemiology. 22 August 2017. Accessed 13 September 2017. https://academic.oup.com/aje/article-abstract/doi/10.1093/aje/kwx156/3848997/Meat-Dietary-Heme-Iron-and-Risk-of-Type-2-Diabetes?. Fernandez-Cao, Jose Candido; et al. “Heme iron intake and risk of new-onset diabetes in a Mediterranean population at high risk of cardiovascular disease: an observational cohort analysis.” BMC Public Health. 4 November 2013. Accessed September 2017. https://bmcpublichealth.biomedcentral.com/articles/10.1186/1471-2458-13-1042. Jia, Wei, Wenyuan Gao, and Lida Tang. Antidiabetic Herbal Drugs Officially Approved in China. Phytotherapy Research 17 (2003): 1127-134. Ibrahimpasic K. “Alpha lipoic acid and glycaemic control in diabetic neuropathies at type 2 diabetes treatment”. Med Arch. 2013;67(1):7-9. Yeh G.Y, Eisenberg D.M, Kaptchuk T.J, Phillips R.S. Systematic review of herbs and dietary supplements for glycemic control in diabetes. Diab Care.2003;26:1277–94. 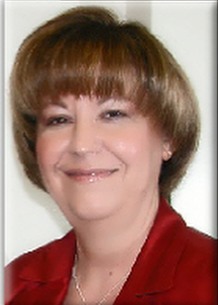 American Association of Diabetes Educators. Mental health coaching improves outcomes for people with diabetes, depression. ScienceDaily. Ghorbani Z, Hekmatdoost A, Mirmiran P. “Anti-hyperglycemic and insulin sensitizer effects of turmeric and its principle constituent curcumin”. Int J Endocrinol Metab. 2014 Oct 1;12(4):e18081. doi: 10.5812/ijem.18081. eCollection 2014 Oct.
& food research.” role=”menuitem” href=”https://www.ncbi.nlm.nih.gov/pubmed/22930403#” aria-expanded=”false” aria-haspopup=”true”>Mol Nutr Food Res. 2013 Sep;57(9):1569-77. doi: 10.1002/mnfr.201200131. Epub 2012 Aug 29. Mozaffari-Khosravi H, Talaei B, Jalali BA, Najarzadeh A, Mozayan MR. “The effect of ginger powder supplementation on insulin resistance and glycemic indices in patients with type 2 diabetes: a randomized, double-blind, placebo-controlled trial.” Complement Ther Med. 2014 Feb;22(1):9-16. doi: 10.1016/j.ctim.2013.12.017. Epub 2014 Jan 8. Wang Y. and Beydoun, MA. “Meat consumption is associated with obesity and central obesity among US adults.” International Journal of Obesity. 24 March 2009. Accessed September 2017. https://www.ncbi.nlm.nih.gov/pmc/articles/PMC2697260/.